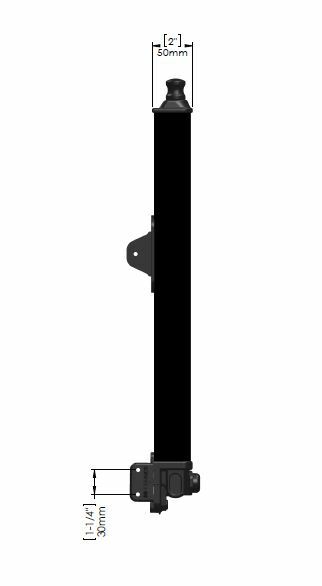 The Safetech SL-50 Pool Gate Latch has a unique design that you can rely on to keep your pool area secured. 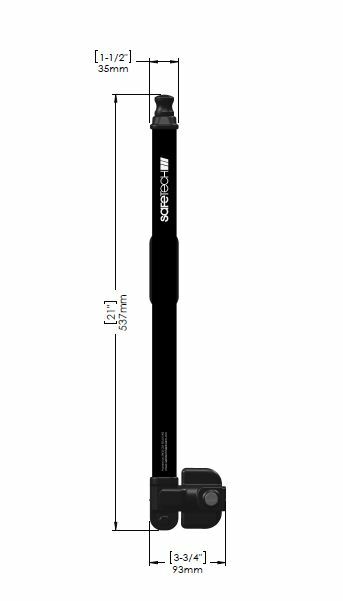 The gate latch model has a magnetic, self-latching system that ensures the latch catches every time you close the pool gate. The waist-level lock featured on the pool gate latch is easy to open even if you have your hands full of towels, sunscreen or a cool drink to sip by the pool. 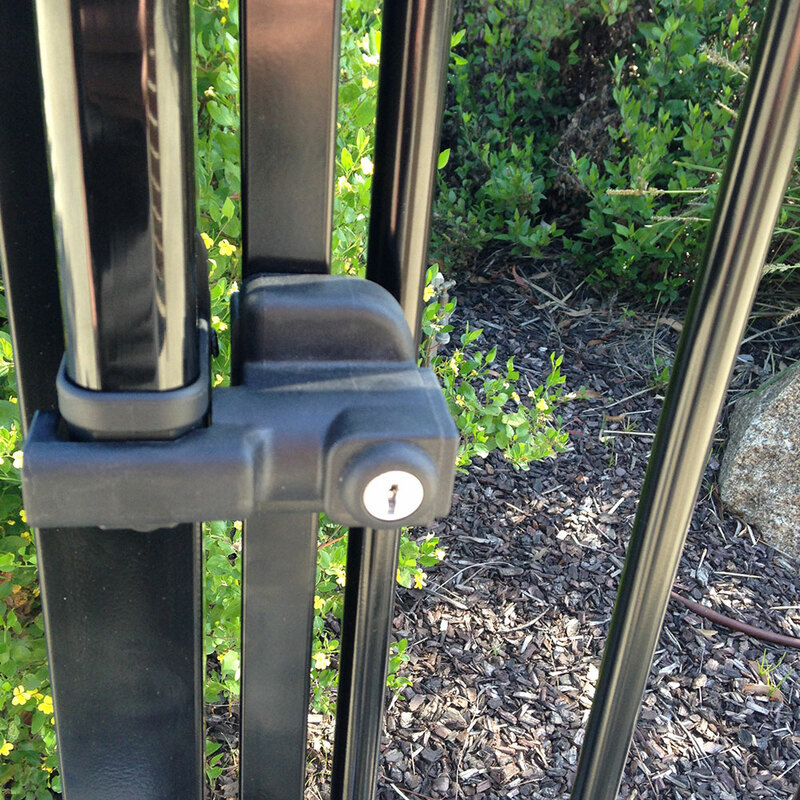 You can latch the SL-50 swimming pool gate latch with or without the key, ensuring that you’ll never have to leave your pool fence open, even if you’ve left the keys indoors. 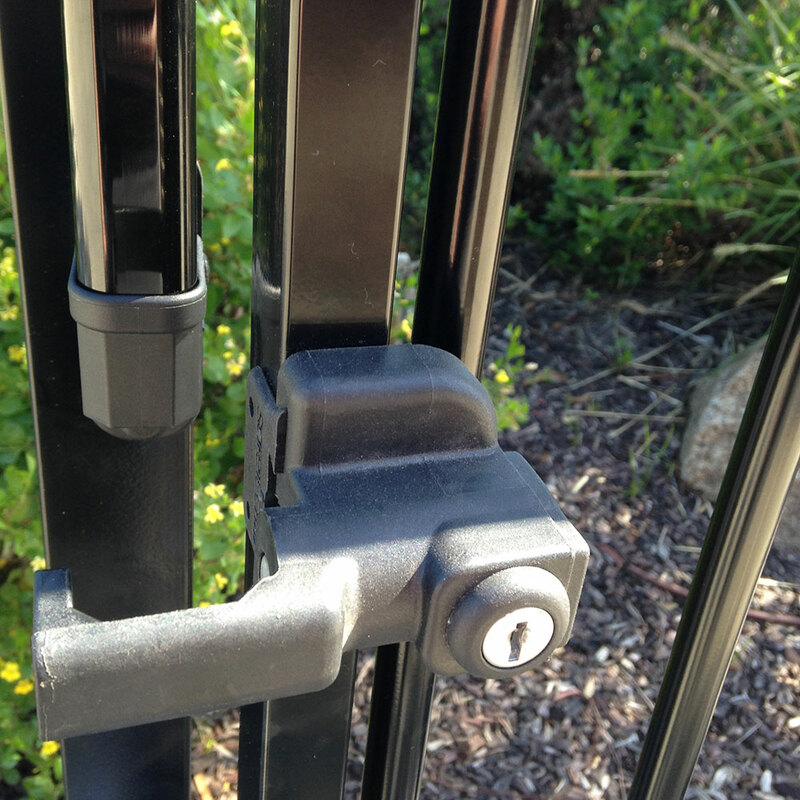 With the Safetech SL-50 Pool Gate Latch, you won’t have to spend much time installing the latch on your fence. 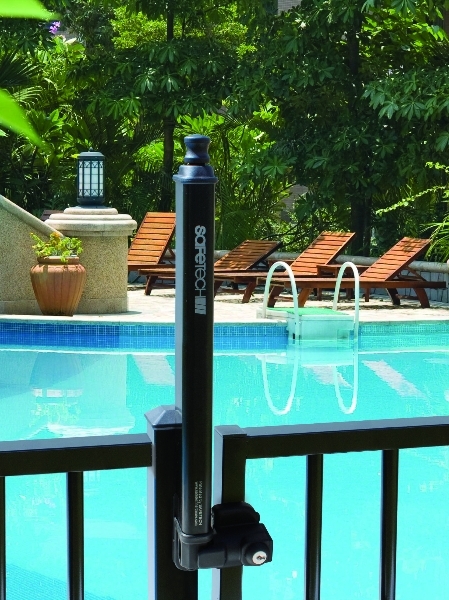 The SL-50 has alignment pips that allow you to easily set the pool gate lock in the perfect position. 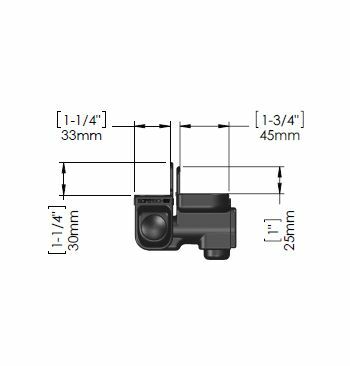 The pool fence latch is adjustable horizontally and vertically, allowing you to fine tune the positioning for the tightest fit possible. 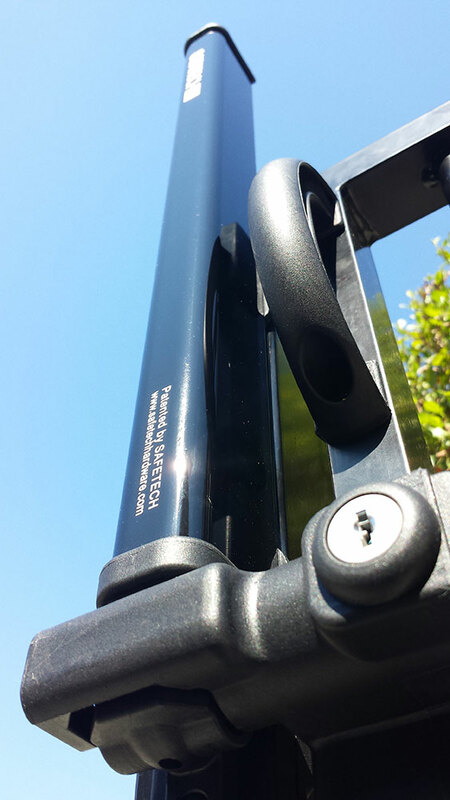 You can easily install the SL-50 on most metal, vinyl, wood or aluminum pool fence panels. Manufactured from stainless steel and fiber-reinforced polymers, the Safetech SL-50 Pool Gate Latch offers superior strength to all other pool gate locks. 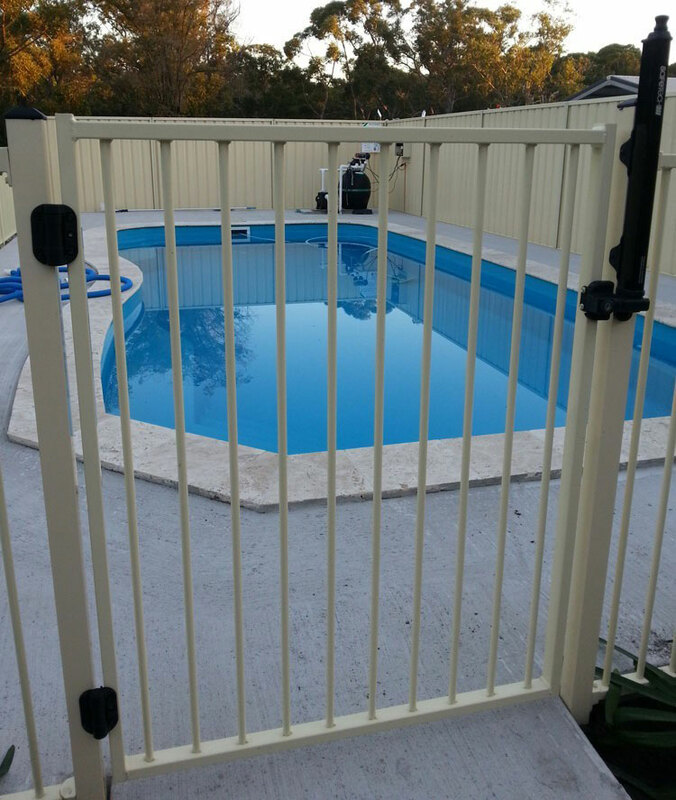 The pool fence latch is E-coated, so that it is impervious to the effects of intense UV energy, rain and snow. 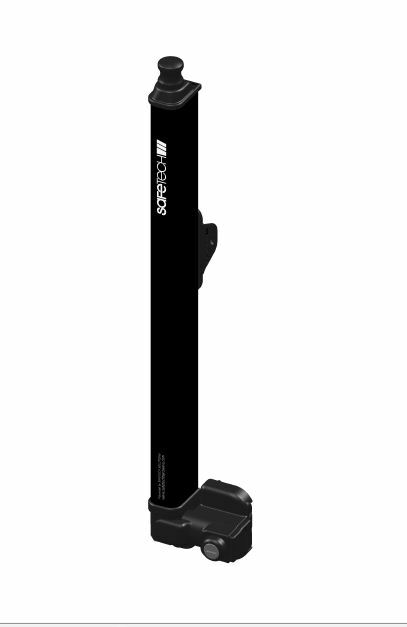 The rust-free pool fence latch is sold in black and available in other colors by special order. 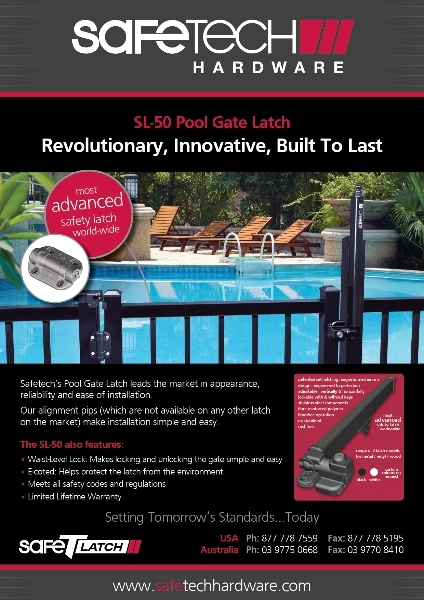 There simply isn’t a more reliable, attractive option among all gate latch types than Safetech SL-50 Pool Gate Latches.